While many aspects of financial reform remain highly divisive, including key provisions of the Dodd-Frank legislation, Americans on both sides of the aisle have voiced their support for reinstating or modernizing the Glass-Steagall Act. This policy vision was included in both the Democratic and Republican party platforms in 2016, and for good reason. As long as we have banks that are “too-big-to-fail,” the taxpayer and the economy will be hostage to the whims of these institutions. Breaking up the banks will not solve all of the problems on Wall Street, but it will allow banks to go out of business if they engage in bad business activities. That alone will alter the risky behavior on Wall Street and will better protect the American taxpayer and the American economy. The Glass-Steagall Act of 1933 (a.k.a. Banking Act of 1933) created a barrier between commercial banking activities and investment banking activities. “What is the difference between these two types of banking?”, you might ask. Commercial banks are where you deposit your paycheck. They use your money and the money of their other customers to make loans and provide other essential services throughout the community. In this manner, they are the catalyst for local economic development. Investment banks engage in more abstract, risky and speculative practices like stocks, bonds and securities. What is critical to your understanding of the difference between the two types of banking is that commercial banks are FDIC insured, meaning that the government is mandated to bail out commercial banks if they lose their money. This is true if the bank gets robbed or if it loses the money through risky investments. Because of this provision, allowing commercial banks to engage in the same speculative transactions as investment banks would carry an inherent moral hazard. In other words, the commercial banks are shielded from the consequences of their actions. No matter what they do, they can’t lose. The taxpayers lose. The government can lose. The country can lose. But commercial banks cannot lose because we are obligated to bail them out. Therefore, if they have a profit motive (which they do) then it is simply a good business strategy to take heavy risks for the sake of large profits while knowing that losses will be passed on to the taxpayer. There is no chance that a bank in this situation will make safe bets. They have no reason to do so. The Glass Steagall Act addressed this moral hazard by dictating that one financial institution cannot engage in both types of banking. The Act was created in response to the perceived causes of the Great Depression. It lasted for 66 years until it was repealed in 1999. Less than a decade later, the US experienced the worst economic meltdown since the Great Depression. Coincidence? While some argue that the repeal of Glass Steagall was not the only cause of the financial collapse, most agree (including both political parties) that the absence of Glass Steagall did exacerbate the problem significantly. Commercial banks are not supposed to be engaged in risky speculation anyway. They are supposed to be boring. This is important for two reasons. First, they are insured by the taxpayer so they should not be allowed to gamble with our money. They should only be allowed to engage in the boring, safe investments for which we insure them. Second, their work (while boring) is extremely important. They should be focused on lending to small businesses and homeowners, not chasing risky Wall Street financial instruments. They should be focused on building connections with the community and helping it grow and prosper over decades, not chasing short term profits in the financial markets. Additionally, the repeal of Glass-Steagall is a key contributor to the big banks getting even bigger. Expanding the scope of banking activities that one financial institution can engage in has allowed these institutions to expand aggressively and consolidate the market into a handful of “too-big-to-fail” banks. A modern-day Glass Steagall Act would break up the big banks, once again separating commercial institutions from investment institutions. 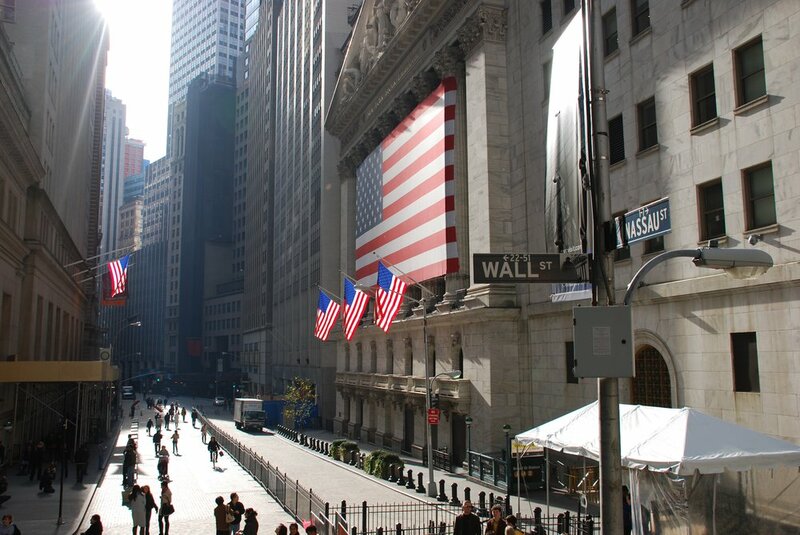 Some would argue that the Volcker Rule of the Dodd-Frank Act addresses this issue by restricting the risky activities of commercial banks such as proprietary trading. Unfortunately, this rule leaves too much ambiguity, so it is difficult if not impossible to enforce. The banks have too much wiggle room to evade the intent of the Volcker Rule, the regulators are faced with too much obscurity, and no one in Washington seems intent on strengthening the law at the risk of offending the financial industry. A clean break would seem more actionable and the voters of both parties seem to agree with this logic. Also, the Volcker Rule does not address the problem of the banks being “too-big-to-fail”. To fix that we would need a 21st century Glass-Steagall Act. All of our efforts for creating economic growth can be undermined if our financial sector is not realigned with the actual needs of investors, businesses and the economy. Another financial crisis will evaporate all of the economic gains that we can garner through implementing the policies described throughout this website. Luckily, voters and party members on both sides of the aisle are finding considerable common ground on this issue. Let’s finally get our economy onto solid ground and alleviate fears of another financial meltdown. Let’s implement a 21st Century Glass-Steagall Act.